STORAGE: $30/ITEM/MONTH. BULK AND LONG TERM DISCOUNTS AVAILABLE, JUST ASK! 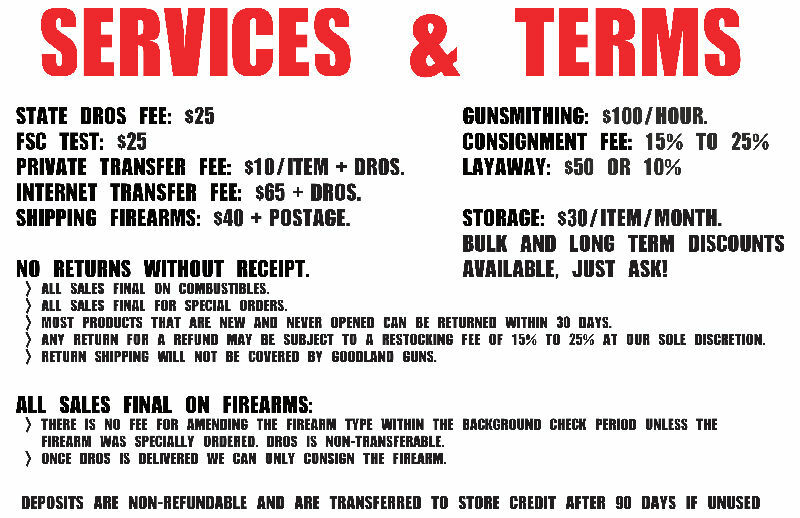 Click here for a full list of gunsmithing services we offer.